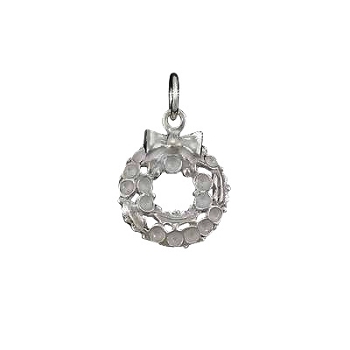 Sterling Silver 925 Christmas Wreath Charm Pendant. The pendant has the 925 stamp. All measurements are approximate.